There are a lot of ways of making the façade of your website look beautiful. Actually, the vast majority of design solutions are aimed at the front-end. 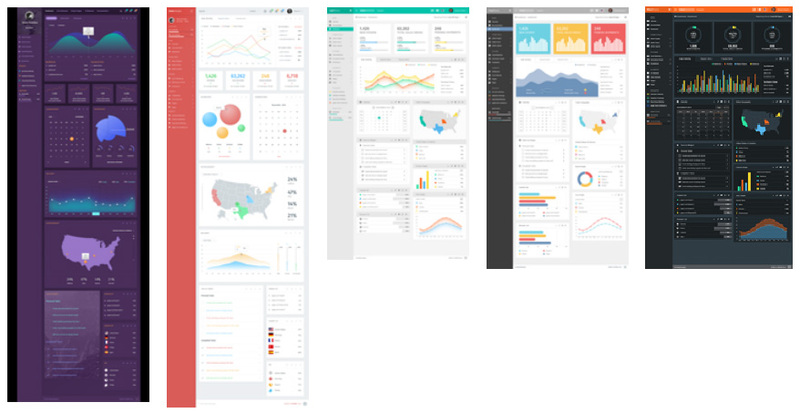 But if your website’s content is user-driven, the visual appeal of the admin panel is just as important. Many content management systems have quite powerful and intuitive admin panels optimized and polished with dozens of fixes and updates, but they are still not perfect. But the main problem of default back-ends is that they are… default. You have no chances for creating a really unique design if your website is literally screaming about its WordPress origins, or whatever you’ve built it with. If you use a custom site engine, usually you have no admin panel at all, or it’s very basic, so you need to get a good one somewhere anyway. A custom back-end can be designed from scratch (the most expensive option), or using an UI kit or a template. Today we are glad to present you one of such readymade admin template designs – MonsterAdmin by TemplateMonster. It enables web-developers to create beautiful professional back-ends using hundreds of UI elements with modern CSS-based effects. This template can be applied to any website based on any CMS or custom site script. For example, you can build a website on WordPress, and use MonsterAdmin along with one of the frontend WordPress themes from this collection. Let’s take a glance under its hood of this product. The package contains 5 standalone templates, which can be used independently, so you pay less than $4 for each. The designs differ greatly, so you will be able to incorporate it into your material design website without a hassle. Offered are 2 dark and 3 light skins, each with its own layouts and sets of design elements. Additionally, you can style the sidebar and the navbar, choose between fixed and wide layouts, and perform other minor tune-ups with one click. Based on jQuery, it comprises lots of dynamic elements with preset functionality. In other words, buttons, pop-ups and other interactive parts of the template act the way they are meant to. You just have to connect it with your website’s database via PHP to make it work. Here you can see all 5 designs together. With this many visual settings they will surely fit any website design. There are a lot of pages in this template, so let’s examine them briefly to give you an idea of what you will find inside. Dashboard: this is the main page displaying statistics, charts, and many other elements. 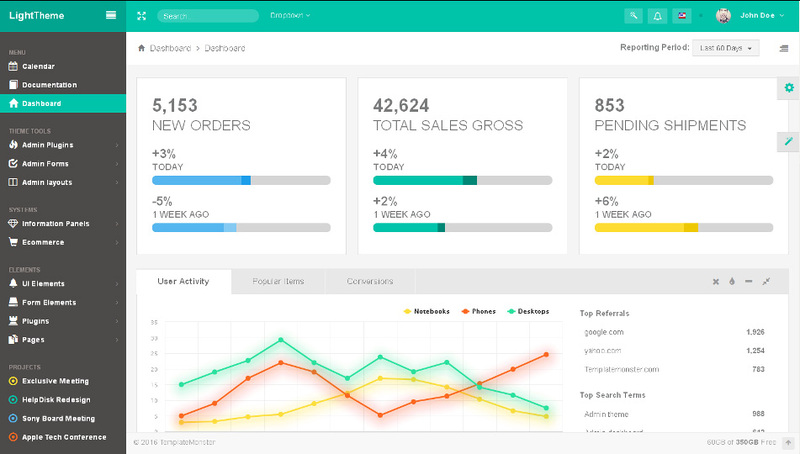 eCommerce section: a variation of the dashboard for online stores plus specific pages like Products, Orders, and Customers. 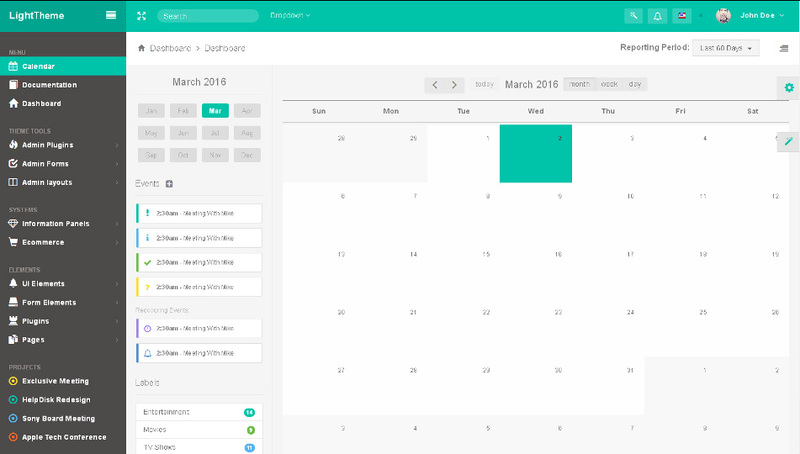 Calendar: displays an interactive calendar with extensive functionality. Here you can create events and assign them on a specific date and time. Admin plugins: a choice of admin panels, admin modals, and other tools. Admin forms: a variety of input forms for different purposes. 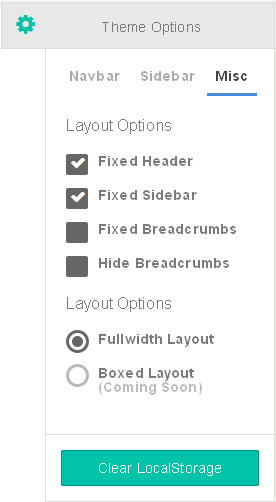 Admin layouts: modify the look of your admin panel. Informational panels: various widgets, notifications, and counters for any occasion. 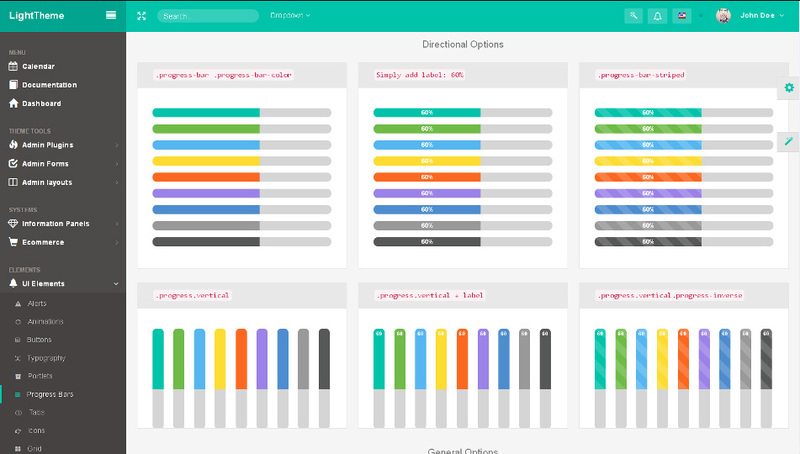 UI elements: contains hundreds of UI elements and CSS-based enhancements. Each skin is supplied with a set of layered PSD files. Depending on the theme there are 2-5 sources: main layout, UI elements, and optional additional sets of elements, logos, etc. The sources are well-structured, and it won’t be a problem for you to find a specific layer or element in all this abundance. This template comes with 24/7 lifetime support provided by professionals. It is coded using such time- and user-tested tools as Twitter Bootstrap and LESS preprocessor. It includes crossbrowser support, and is 100% responsive. 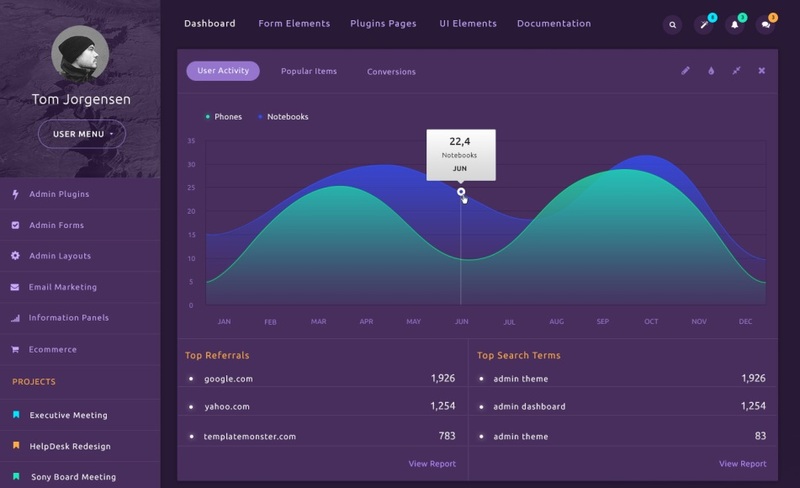 MonsterAdmin is built considering the latest design trends and techniques, so you can be sure that you dashboard looks better than your competitor’s. Take your time to look through the live demo and try this outstanding template for yourself. Love these UI elements. Nice simple but powerful design. I think they would help create a really beautiful website admin area. Great article! nice for newbies like me in web designing.